For many millennia aromatic molecules from plants have been adapting, protecting, energizing and working with the world of beneficial and toxic bacteria, fungi and viruses. Humans have used them for thousands of years and have recorded their safety and functions. Your living body recognizes a natural aromatic substance and knows what to do with it. It may not recognize or be able to effectively use a synthetic one. Nature’s purpose in giving us aromatic molecules is to bring us vitality, harmonious balance and protection. Synthetic substances, on the other hand, have only two functions—to block and to kill. That’s all. Bacteria have proven over and over again that they can mutate to form all kinds of resistant strains of “superbugs” to outwit the toxic, synthetic, antibiotic drugs scientists win patents inventing. Living, unpatentable, aromatic oils have never created a superbug. Scientists are now turning to essential oils to fight these fierce invaders because they realize that only nature can win a war with nature. Dr. Pénoël has stated, “In all my experience with bacteria and essential oils, I have never seen strains mutate and develop resistance. There are no superbugs created by essential oils” (Dr. Daniel Pénoël. Guide to Home Use of Essential Oils, p. 9). You’ve seen the pages of horrible sounding side effects that follow every pharmaceutical advertisement. You know of the extreme dangers of drug reactions. You’ve heard of the drug recalls that occur each year (over 1,700 in 2009 alone). Would you prefer using nature’s complex essential oils with multiple health benefits and virtually no side effects when used the right way? Would you prefer using synthetic drugs that block and kill or natural substances from the plant kingdom? Dr. Pénoël says, “My patients who complete the sometimes slower but more complete treatments I conduct do not end their treatment ready to return home and begin the slow recuperation back to health. They are full of life. They are energized. Synthetic drugs lower your energy (entropy) while essential oils raise your energy (reverse entropy)” (Pénoël, p. 10). The complex synergies of essential oils improve your mood, strengthen multiple systems of your body, and do not disrupt the delicate probiotic balance. They can stop pain, reduce inflammation, stop muscle spasms, decongest, destroy microbes and calm anxiety … all at the same time. They spread throughout the body bringing vitality and life. Synthetics only block body functions and kill pathogens and leave their toxic waste behind. Synthetics are like a hammer hitting a single nail and often missing and hitting your thumb. Essential oils are like engineers, constructing and building health and vitality. What do you have in your medicine cabinet now that can be diffused, added to your food, smelled, added to bath water, added to your tea, applied in a massage or under your nose? 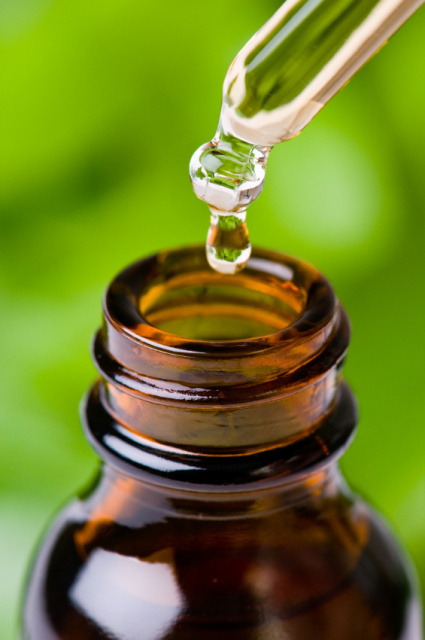 Essential oils are more complex and creative than synthetics. They can work on all these interfaces at once. If for some reason one doesn’t work for you, there’s always another way. And they work synergistically. We are familiar with the toxic, bad smells of decay that make us avoid it. The natural alluring aromas created by nature in spices, mints, citrus and evergreen forests tell us that these substances destroy the bad bacteria that cause decay and spoilage. Synthetics don’t offer these natural signals. What pleasure is there in taking a synthetic drug? You would never want to use one when you’re well. But as Dr. Pénoël says, “my patients, once they have completed the therapies I recommend, are always eager to continue using the essential oils on a daily basis throughout their lives. And the ones that are most pleasurable are typically the ones that are best for daily use” (Pénoël, p. 11). This quote by Dr. Pénoël gives us perhaps the most compelling reason to use essential oils in our daily lives (Pénoël p. 12). Aromatic plants produce hundreds of thousands of complex aromatic molecules. Mortals struggle to classify and put to use this vast complexity. Without even knowing how they are functioning in your body or all the different things they may be doing, you can relax, knowing that they are doing their magnificent work, restoring what is injured and bringing life and health. What simple synthetic can do that?